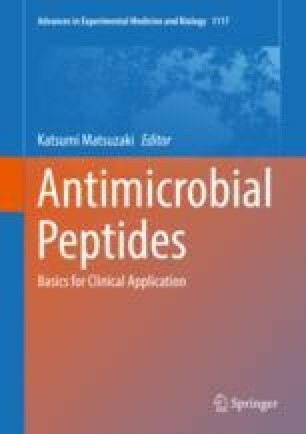 While antimicrobial peptides (AMPs) are well-known for their disruptive effects on bacterial membranes, the mechanism of many intracellular AMPs is still being elucidated. In the recent years, it has been demonstrated that the subclass of proline-rich AMPs (PrAMPs) can pass through the bacterial membrane and kill bacteria by inhibiting protein synthesis. PrAMPs are a product of the innate immune system and are secreted in response to bacterial infection. So far PrAMPs have been identified in many arthropods, such as beetles, wasps, and flies, as well as some mammals, such as sheep, cows, and goats. PrAMPs show high potency against Gram-negative bacteria, while exhibiting low toxicity in eukaryotes, suggesting that they may represent a promising avenue for the development of future antimicrobial agents to combat the increase of multidrug-resistant bacterial pathogens. Structural and biochemical data have revealed the PrAMP binding sites on the ribosome as well as insight into their mechanisms of action. While the binding site of all so far investigated PrAMPs is situated within nascent polypeptide exit tunnel, the mechanism of action is distinct between class I and II PrAMPs. Specifically, class I PrAMPs, such as Bac7, Onc112, pyrrhocoricin, and metalnikowin, block the delivery of aa-tRNA by EF-Tu to the ribosomal A-site, whereas the class II PrAMPs, such as apidaecin 1b and Api137, act during translation termination and inhibit protein synthesis by trapping of release factors on the 70S ribosome following hydrolysis of the nascent polypeptide chain.